Korea Insulator Industrial Co., Ltd.
Joongang Machinery Ind. Co., Ltd.
Valeo Samsung Thermals Systems Co.,Ltd. Dae Dong Gear Co., Ltd.
Hye Ban Industrial Co., Ltd.
DAE HAN NAKAKAWA IND.Co., Ltd.
Dong-A Hwa Sung Co., Ltd.
ARIM MUTUAL SAVINGS & FINANCE Co., Ltd.
Gyeongsangnam-do Gross Regional Domestic Product is KRW 95 trillion and 634.5 billion (the 3rd highest GRDP among all provinces of the Republic of Korea). Trade Balance is Export: USD 51.9 billion (9.3% of entire export of the Republic of Korea) and Import: USD 28.5 billion (5.5% of the entire import of the Republic of Korea). Gyeongsangnam-do has four major industrial complexes. Changwon Nammun Foreign Investment Zone deals with Mechatronics, Automobile Components, Shipbuilding Materials Industry, Machineries. Gimhae TechnoVally General Industrial Complex deals with Medical substances & Medicines, Metal Processing, Electronic Components, Computers, Media Electronic Equipment and etc. Changnyeong Genearl Industrial Complex deals with Metal, Machinery, Automobile, Electricity and etc. Galsa Bay Shipbuilding Industrial Complex deals with Metal, Machinery, Automobile, Electricity and etc. With our powerful search tools and marketing solutions, Kompass can help you better understand your marketplace and to generate leads as well as promote your company online towards a targeted audience. 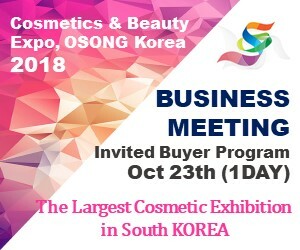 Find out the detail information about South Korean companies in Gyeongsangnam-do, which is registered in the Kompass B2B worldwide database.